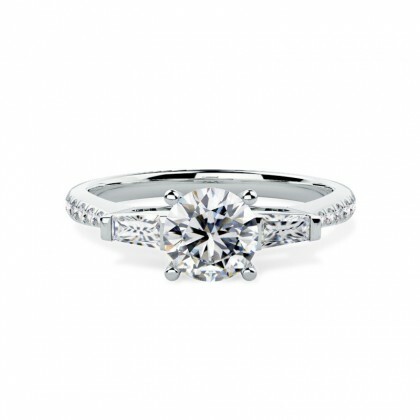 Engagement rings are the ultimate declaration of love with a diamond reflecting the life and sparkle of your relationship. Our unique collection of diamond engagement rings has been finely crafted to ensure you find the perfect ring for your partner. From classic solitaire to more elaborate three-stone and halo designs, our rings can help you truly reflect the character of the wearer with one of our diamond rings. Available in rose gold, white gold, yellow gold and platinum, all our rings are made to order in our London workshop to help take you one step further to your "I do". Browse our collection today. 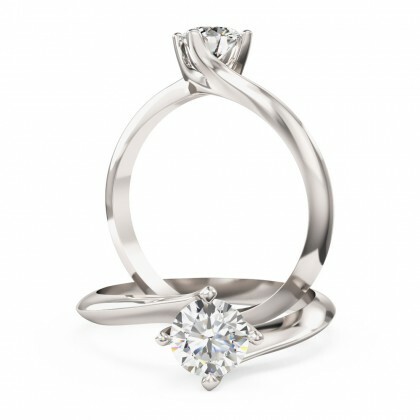 Engagement rings are the ultimate declaration of love with a diamond reflecting the life and sparkle of your relationship. Our unique collection of diamond engagement rings has been finely crafted to ensure you find the perfect ring for your partner. 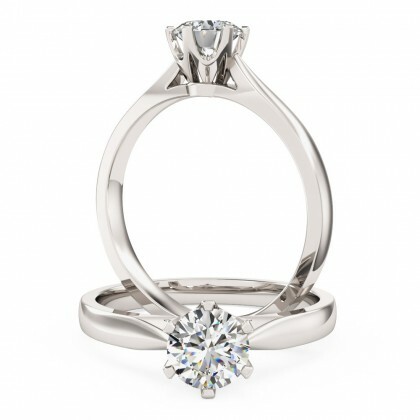 Single stone rings – also known as solitaire rings are beautifully designed to showcase just one individual stone. 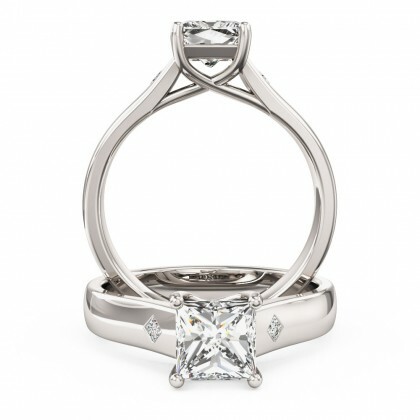 Our collection of rings features your chosen diamond set in a variety of ways, from the classic claw settings to the more contemporary tension or rub-over settings, these are the rings that are perfect for those that appreciate more traditional styles. When one diamond is not enough, our single stone with shoulders rings are made to add a dazzling accompaniment to a central diamond. These small stones make a big difference and can make your offering of love and commitment a sparkling occasion. With an array of designs providing a range of different side stones, you’re bound to find something magical. 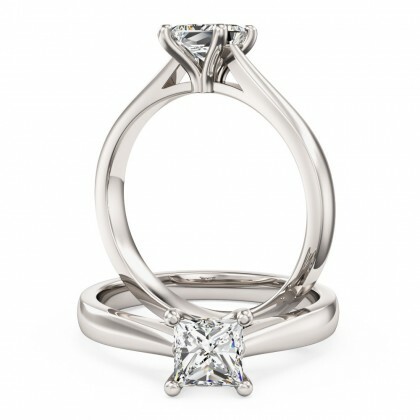 Three stone rings or trilogy rings are a sign of eternal love. 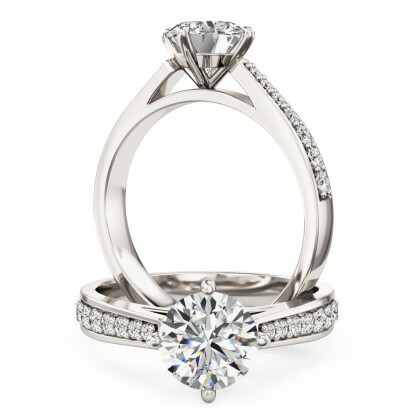 A symbol of your past, present and future, these rings combine 3 unique diamonds to offer a stunning result. Available with an assortment of diamond shapes for both the centre stone and supporting side stones, these rings will stand out amongst the rest – why have one diamond when you can have three? 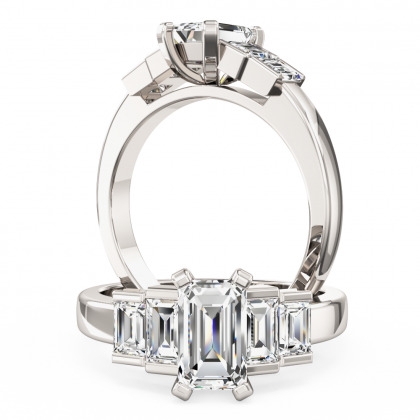 With our halo rings, you’ll find the dream piece for those who like to make a statement. 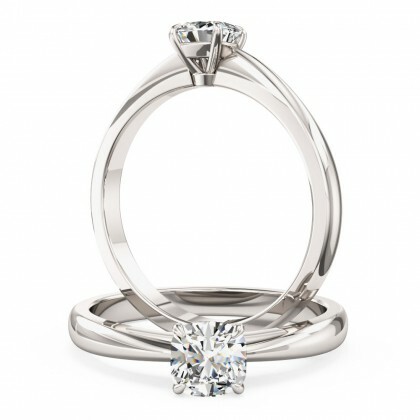 Enclosing your chosen centre diamond with a surround of additional smaller diamonds, our halo rings are designed to be showstoppers. 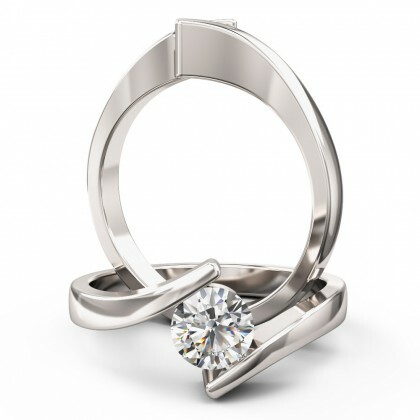 Available with all our diamond shapes in a variety of designs and widths, these sparkers will take you one step further to hearing your “I do”. The perfect way to maximise size whilst staying within your budget is with our cluster engagement rings. This unique collection of rings incorporates intricately designed clusters of smaller diamonds to create one maximum display of sparkle. Crafted with a selection of diamonds shapes, our selection provides a contemporary feel but maintains the traditions of craftsmanship. If you’re looking for something a little different, then our gemstone and diamond rings are just the ticket. 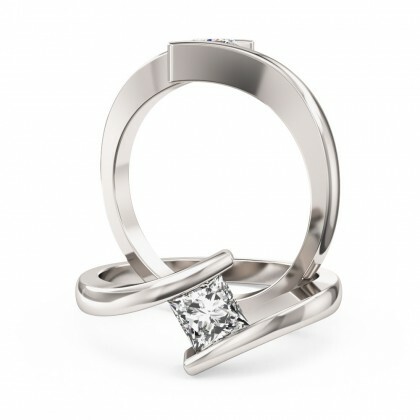 With a central gemstone of your choice, our designs are beautifully complemented by diamonds to give you added sparkle. Choosing from sapphires, rubies, emeralds and more in an array of shapes, add a little colour to your proposal with this delightfully curated collection.